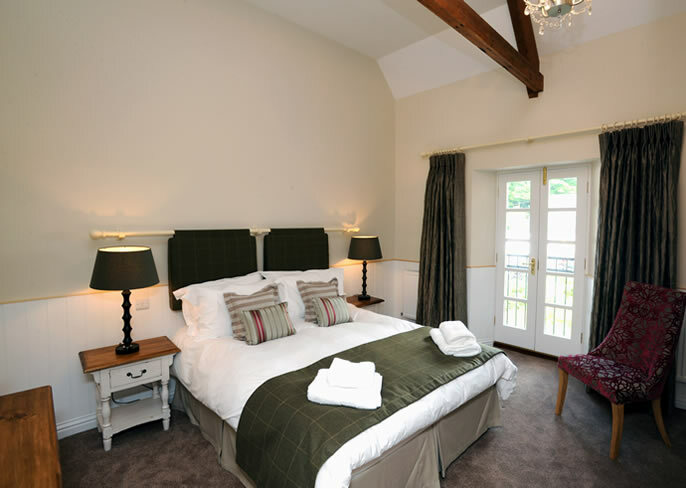 The only room in the main house originally used as a bedroom, with the most exquisite views. Complete with exposed beams and plenty of original features this room represents the uniqueness of the manor house, with the Juliet balcony looking out over the courtyard. The bedroom features vintage 1870’s inspired glass separating the bathroom from the bedroom. The en-suite features a spacious shower in addition to an alcove bath to soak into.